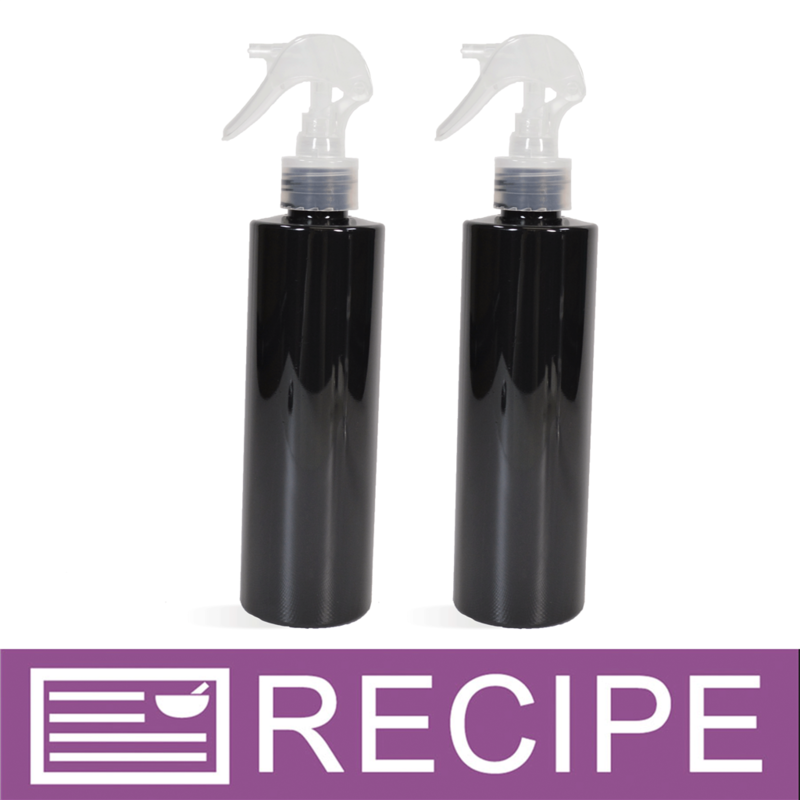 This natural colored mini trigger spray comes with a lock on it to prevent unwanted leaking or spraying. Push the button on the neck of the bottle to toggle between lock and unlock. The bottle has a small graphic on each side showing which side is "lock" and which side is "unlock". This pump will not work with our aluminum bottle. Directions: Push the button on the neck of the bottle to toggle between lock and unlock. Push the button on the neck of the bottle to toggle between lock and unlock. COMMENTS: These are wonderful little sprayers. They hardly have issues and I like the locking mechanism. COMMENTS: The trigger spray is great. The only issue I had at first was dfinding the button on it so it isn’t locked. 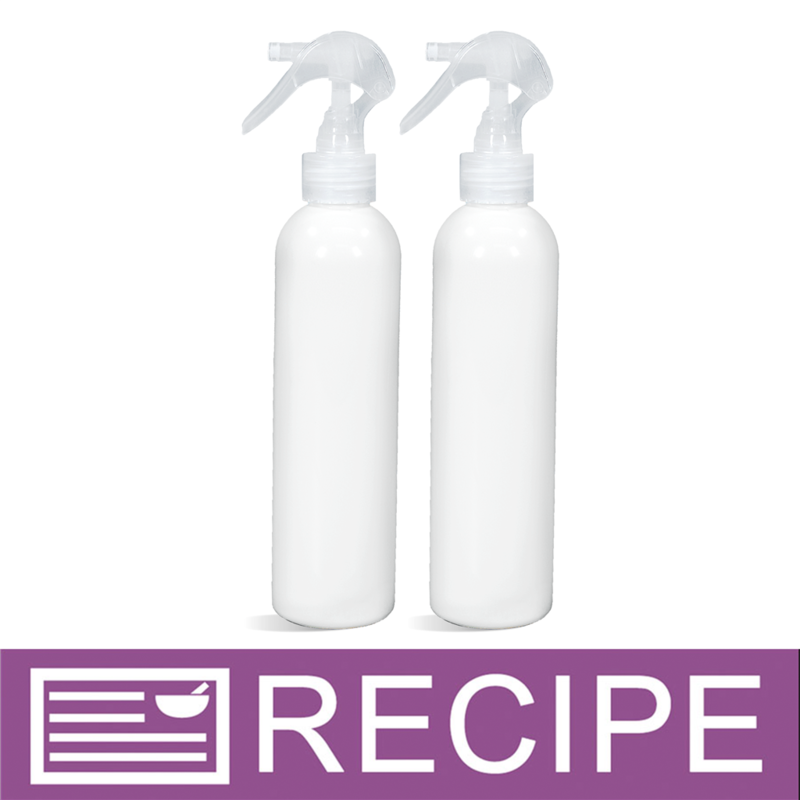 COMMENTS: I make all natural cleaning products and these sprayers work great for the smaller neck bottles. The lock button is confusing to most, but I find it handy. They work and they last. COMMENTS: A diagram would be helpful. • Better Instructions or diagram. COMMENTS: I love the look of this on my 16 oz tall bottles! COMMENTS: I ordered this to go with a bottle I purchased from WSP. I use it to spray my bathbomb mixture. I have large hands so it can be hard to get a grip on it but it works just fine and I would buy another one. Thanks WSP! COMMENTS: I love these easy to use spray bottles. 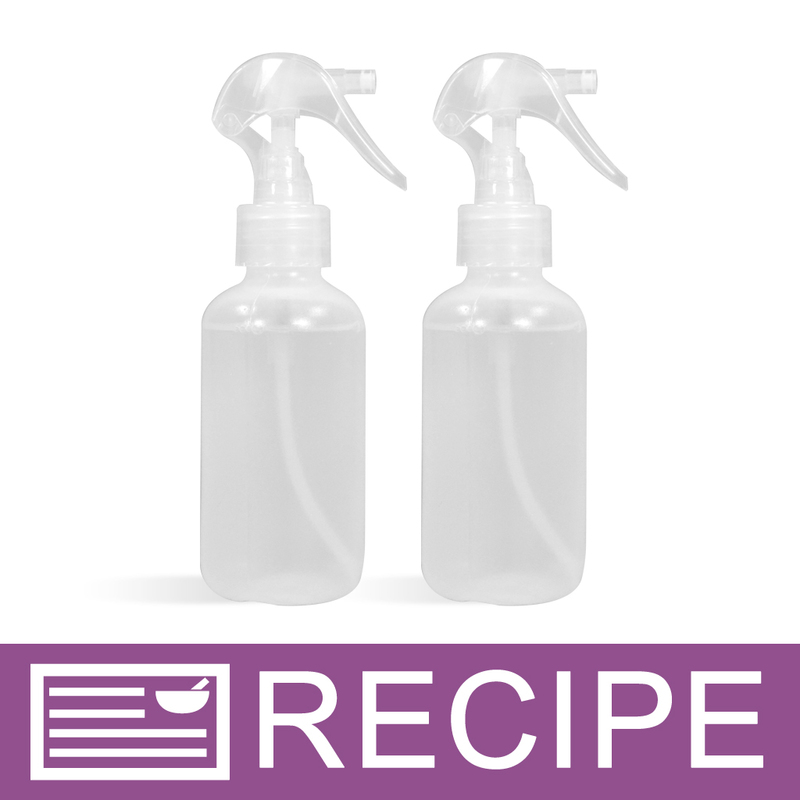 They are light, sleek and produce a fine mist spray. The way to open the sprayer top to allow it to spray is to push the clear plastic piece, under the nozzle, to the side. "I love these trigger sprayers"
COMMENTS: These are really fantastic. I have used them mainly for linen & room sprays. They are a nice size and kids can easily handle it as well. Does include a push lock mechanism that's great if you have little ones. I absolutely love them. COMMENTS: I use these for dry body oil spray and with rubbing alcohol to spray the top of cold process soap. Very high quality sprayer and easier to use then the standard spray pump. COMMENTS: This is a great sprayer! We love that it has a locking mechanism to keep it from spraying in a bag. I would recommend this for 8 oz or larger bottles. Has a professional look and sprays evenly.Must have for bug sprays, room sprays and linen sprays even body sprays. "24/410 Natural Mini Trigger Sprayer"
COMMENTS: It's the perfect trigger sprayer for a room perfume, versus the industrial style triggers. Perfect for spritzing your rooms with your blends of eo or fo's! I really like the convenient trigger lock button, very handy! Fits perfect in the hand, not bulky and hand hurting when you spritz a room! Big bonus there!! EXCELLENT PRODUCT! • Love the mini trigger! • ending of the liquid in it! COMMENTS: I use these with homemade air fresheners. I use a lot of oil in my sprays and haven't had a problem with the sprayer clogging or eroding. I have used these sprayers several times every day for a few months and haven't had a problem. Best sprayers I've used. COMMENTS: Use this for my personal room spray at home. Easy to use, doesn't clog on me! COMMENTS: These sprayers are attractive and work great, didnt fit my bottles though so wouldnt work for me. COMMENTS: I recently ordered 3 of these sprayers and I haven't had any issues so far. Works like a charm. I did notice that there is a little latch on the sprayer that you have to move in order to use this product. I knew about this ahead of time after reading reviews posted by others. Thanks for the hint, to those who posted this tid bit of information! I would order again! Thanks! "Love the look of these!" COMMENTS: I was hesitant about buying these because of the price, but they are so worth it. My room sprays look amazing! COMMENTS: This is the only sprayer I use for homemade general cleaning spray. It's eisier to use than a pump sprayer for that purpose. I like that it only sprays as opposed to having to turn the lid to not stream. The lock is an added bonus. COMMENTS: Cute sprayers. If you purchase when on sale, the price isn't terrible. The locking feature is nice, especially when using around "little hands" that like to "help". I haven't had any issues with leakage, though I ship the sprayer separate from the bottle to ensure no leaking can occur. The only thing I would change - wish the sprayer was a hair bit bigger, seems small in your hand to be comfortable. Also, wished these fit on the 4oz bottles. "If you used this with the luxury mist with mica would it clog the sprayer?" Staff Answer Yes, mica will clog the sprayers. "Why won't these work on the 24/410 metal bottles?" Staff Answer The threading on the bottle is slightly different and the trigger sprayers do not fit tightly on the bottle. You may experience leakage if using the sprayer with this bottle. "When these spray are the a jet or more of a mist/shower? Was looking at using them for a hair product, but do not want one that will just jet the product into one spot. Thanks!" Staff Answer I would say more like a jet not a mist.